Show of hands, who thinks this car looks like a wooden clog? 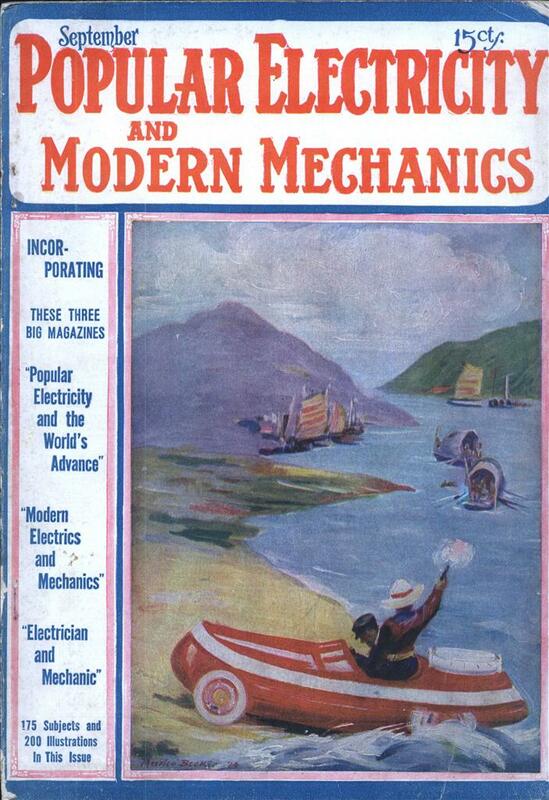 A Los Angeles corporation is preparing to put on the market a remarkable combination of the automobile and motor boat, invented by W. C. Mazzei, E. E., of New York City. This machine, which will sell for the same price as a high grade automobile of the usual type, is intended particularly for use by travelers, who must cross streams and flooded areas. 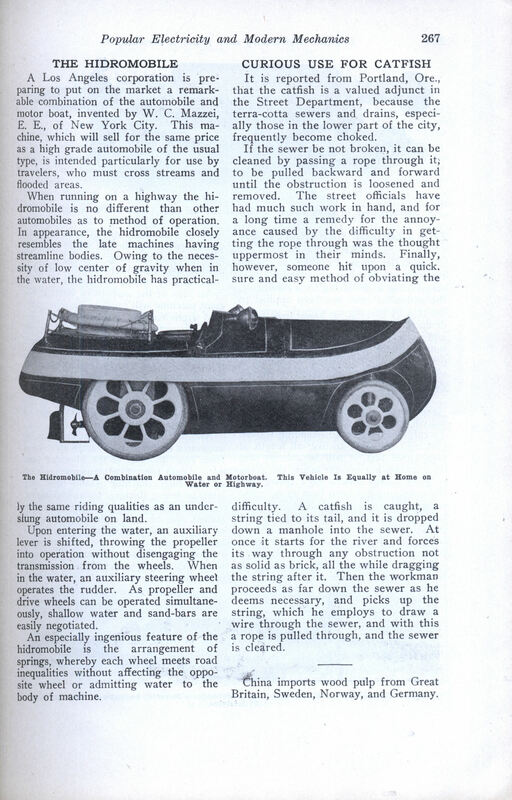 When running on a highway the hidromobile is no different than other automobiles as to method of operation. In appearance, the hidromobile closely resembles the late machines having streamline bodies. Owing to the necessity of low center of gravity when in the water, the hidromobile has practical- ly the same riding qualities as an under-slung automobile on land. Upon entering the water, an auxiliary lever is shifted, throwing the propeller into operation without disengaging the transmission from the wheels. When in the water, an auxiliary steering wheel operates the rudder. As propeller and drive wheels can be operated simultaneously, shallow water and sand-bars are easily negotiated. An especially ingenious feature of the hidromobile is the arrangement of springs, whereby each wheel meets road inequalities without affecting the opposite wheel or admitting water to the body of machine.